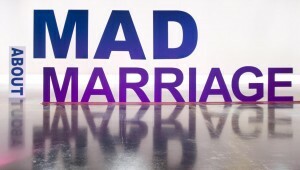 Mad About Marriage originated with a special series of programs focused on common relationship issues on our Lifestyle Magazine television show. We brought together a variety of marriage experts, authors, and married couples and asked, “What’s wrecking America’s marriages?” The answers were enlightening, and worth sharing! The show discussed topics like Communication, Lack of Love and Respect, Spirituality, Finances, Forgiveness, Anger, Infidelity and more, then showcased ways to get back to madly in love again with your spouse. The goal is to give couples the tools for staying “madly in love” forever. The Mad About Marriage television series gave birth to Mad About Marriage Seminars, and these weekend seminars have been conducted in venues all across North America since 2010. Take a look around the Mad About Marriage website. You’ll find marriage tips, seminar information, archives from the show, the MadlyinLove blog and other resources you will find yourself recommitted and more in love with your spouse.